Review of used oil reclamation methods - ! Equipment for Transformer Oil Reclamation. GlobeCore. removal of water down up 0.6% by weight. Physical and chemical methods of oil reclamation – these are coagulation, adsorption and selective purification. Ion-exchange purification is a case of adsorption purification. Coagulation – is a process of forced enlargement of colloid particles in the oil. It starts by adding coagulants to the oil. 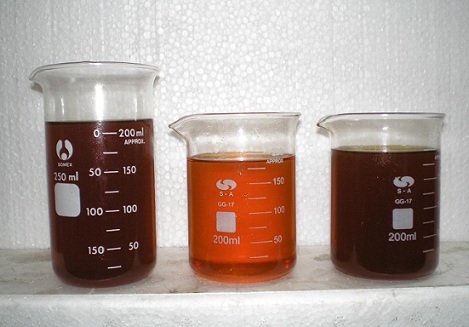 The efficiency of the process is defined by the amount of the coagulant, duration of contact with the oil, intensity of agitation, temperature etc. Adsorption purification utilizes the ability of bleaching earths, natural zeolite, silica gel, alumina silicates etc to capture contaminants. These substances are cold adsorbents. Ion-exchange is based on the ability of ion-exchange resins to capture contaminants, however, not all, but only those that can dissociate into ions in solved state. This method allows to restore the oil by removing acidic contaminants. Selective purification is described in more detail here: selective oil reclamation. Chemical methods are based on the ability of contaminants to reactor with special reagents. The result of the reaction is easy to remove from the product.